Thanks to everyone who participated in our JustRite Friday Challenge #066. The grand prize winner this week is: Robin Parker. Robin used Birthday Celebrations to create her card. 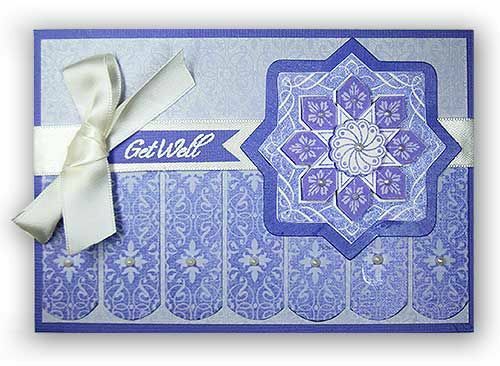 Molly T. created this purple Get Well card using Vintage Wallpaper Background and Starburst Medallion Labels. Mary Jo. H. created this great card using With Sympathy. Congratulations Everyone!!! Sharon will be back tomorrow with our next challenge. Welcome to day two with guest designer Tosha Leyendekker . 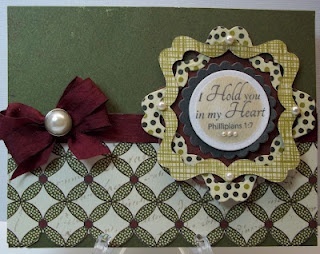 Tosha has designed another great card using Cast All Your Cares and Lace Borders. 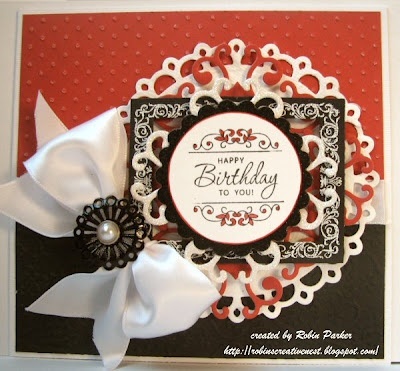 I love the intricate details of the Lace Borders sets, and thought they would look lovely made into a designer paper for my sentiment from Cast All your Cares. Thanks for stopping by today!! We will be back tomorrow with the Winners of the JustRite Friday Challenge and with another Fab project from Tosha!! This week we are very excited to have the fabulous Tosha Leyendekker as our guest designer for the next 3 days. Tosha is a master of using distressed inks to create warm and wonderfully distressed cards. She will inspire you to get out your distressed inks to play!! When I saw the Border from the “Cast all your Cares.” set, I immediately thought it would make a beautiful rosette medallion. And I love the verse Ecclesiastes 3:11. That’s why I included the butterfly. 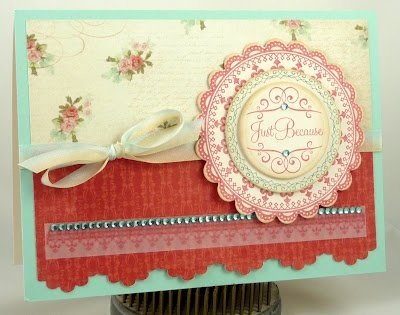 Don't you just love the rossette medallion using the border stamp element from Cast all your Cares! !